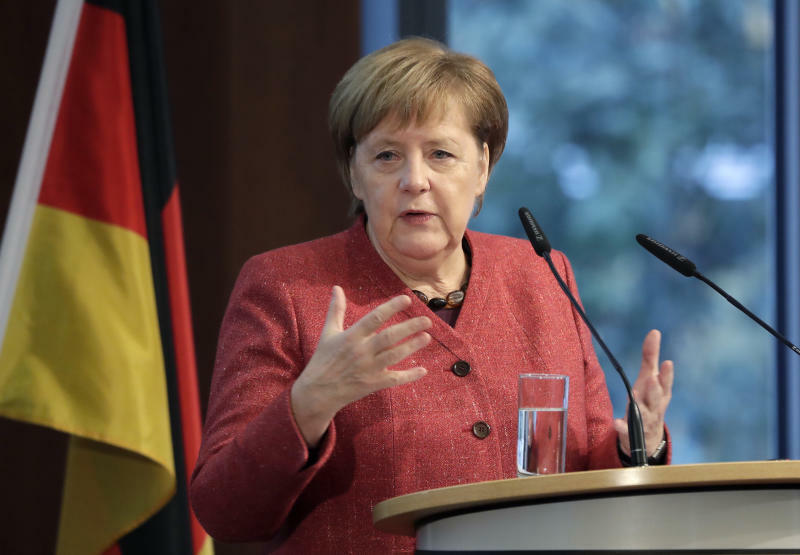 Merkel was en route Thursday night on an air force Airbus A340, but turned around over the Netherlands after the captain reported a technical problem. The plane was diverted to the Cologne-Bonn airport and landed without incident. Air force Col. Guido Henrich said the problem was caused by the failure of an electrical distributor box, which affected the radio system and also a fuel system, meaning that the plane couldn't dump fuel. The part was replaced and the plane is now functional again, he said. The plane landed at Cologne-Bonn with most of the fuel for its planned trans-Atlantic flight on board, making it heavier than normal and causing one brake to overheat slightly as it came to a stop on the runway, Henrich said. He stressed, however, that there was no danger to the people on board. The plane was able to communicate by satellite despite the problem with its radio system. 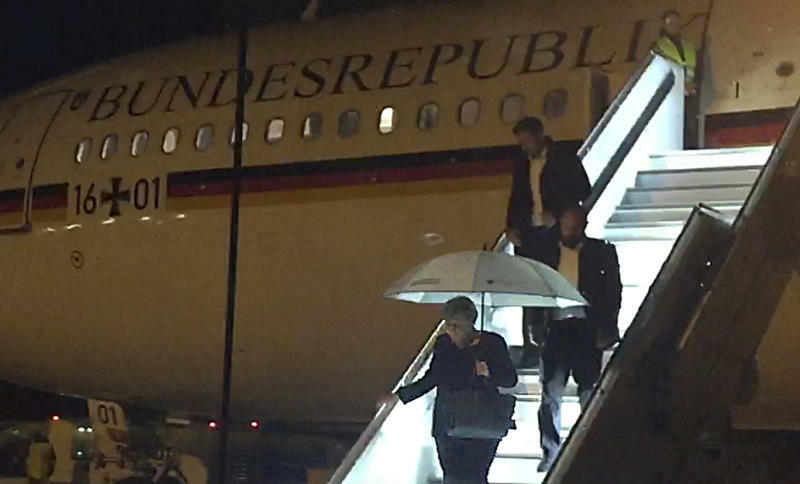 The air force was sending a similar plane from Cologne-Bonn, where the government's fleet is based, to Buenos Aires on Friday to pick up Merkel after the G-20 summit.